I am always on the lookout for cheaper alternatives to my holy grail facial cream – the Belif The True Cream – Aqua Bomb. 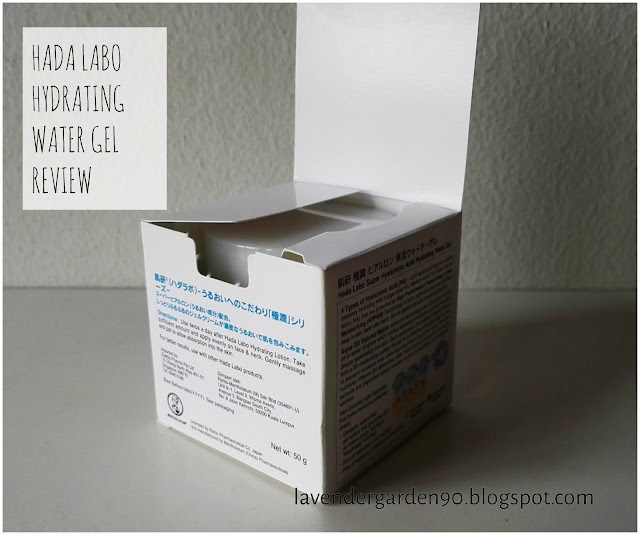 Then I found this Hydrating Water Gel from Hada Labo. 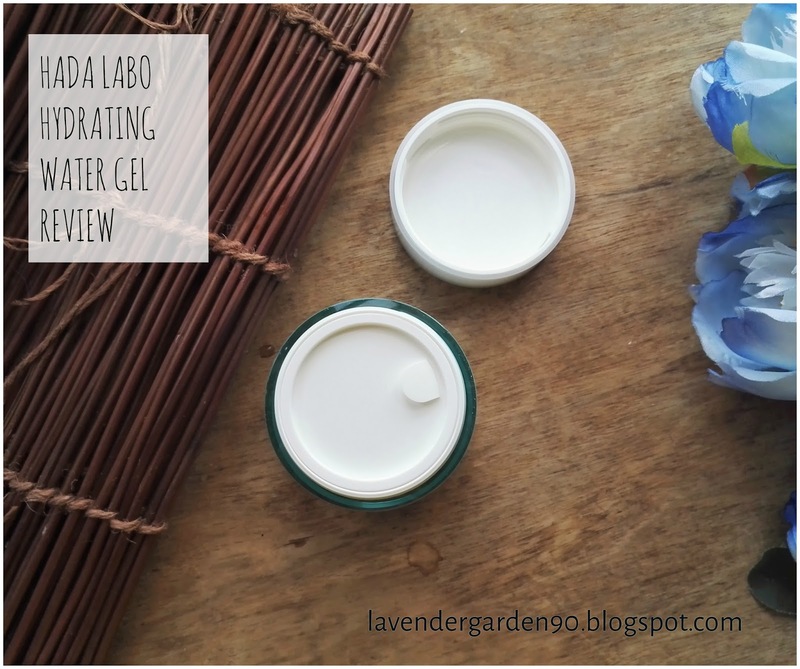 Hada Labo came out with lightweight Hydrating Light Cream and Water Gel in November 2015, about 2-3 years after I stopped using Hada Labo products. 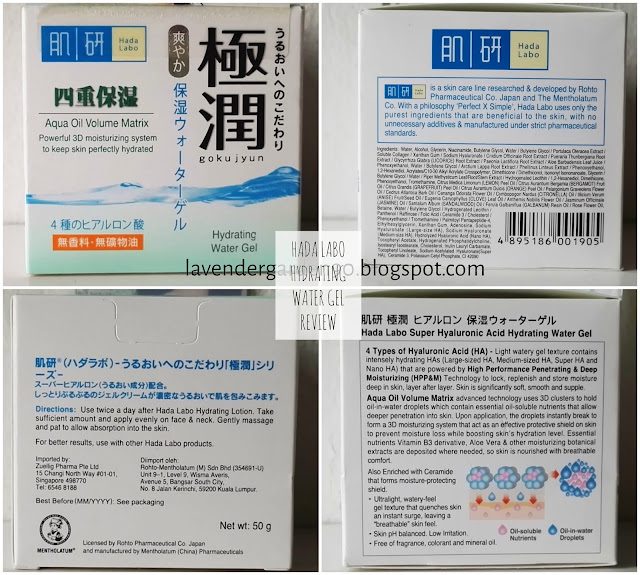 I used to be a big fan of Hada Labo skincare in 2011, and had been using it for at least 2-3 years before switching over to Aqualabel. I remembered hating Hada Labo moisturizers a lot back then. My hate for emulsion in general probably stems from the negative experience I had with the super gluey and uncomfortable texture of Hada Labo Hydrating Milk. It’s rather unfortunate that Hada Labo didn’t come out with any lightweight cream back then. Otherwise, my skincare journey in 2011-2014 would be much easier and happier. 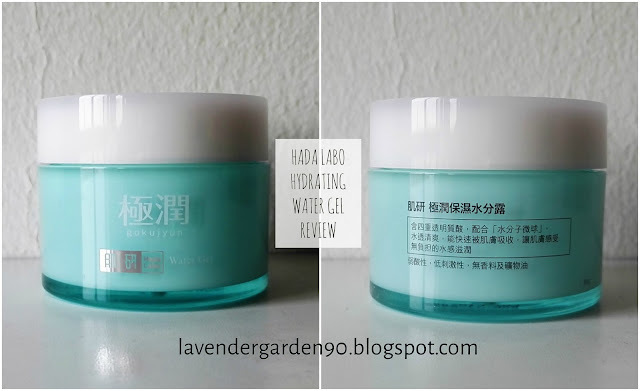 Anyway, let’s now look at the Hada Labo Hydrating Water Gel that I think is a cheaper alternative to my holy grail Belif Aqua Bomb! Hada Labo Hydrating Water Gel is housed in a light green plastic jar. It comes with a lid without a spatula. You either use your own spatula or just scoop it with your fingers. I think Hada Labo is trying to cut cost in the packaging used. The product inside is a bouncy and refreshing hydrating gel texture with a fresh lemon scent. It somehow smells like Aqua Bomb! 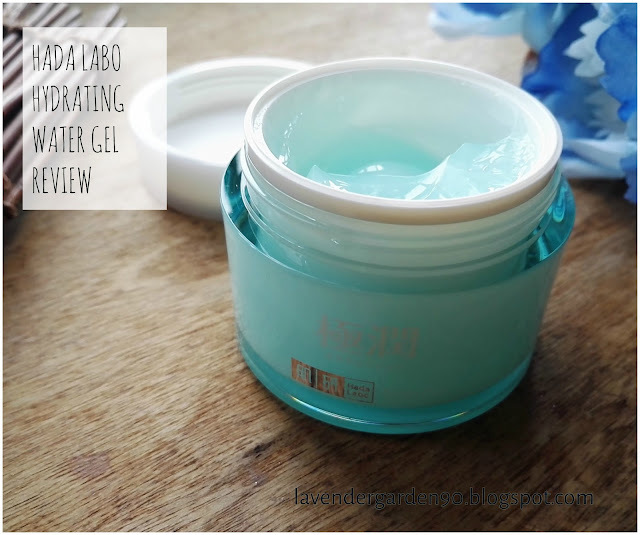 The texture also feels really cooling and hydrating like Aqua Bomb. It is somewhere between Belif Water Bomb and Aqua Bomb, which is neither greasy or feathery light. It feels just right. Hada Labo claims that this is formulated using the aqua oil volume matrix technology that uses 3D clusters to hold oil-in-water droplets that allow deeper penetration of nutrients into our skin. So when you apply, the droplets break to form a 3D moisturizing system that will act as an hydration shield on the skin to seal in all moisture. This product uses a lot of ingredients, but main ones are the basic water, alcohol, glycerin, niacinamide, and butylene glycol. It uses many formulas, which are a cluster of ingredients grouped together to achieve a certain skincare purpose. For instance, purslane extract, soluble collagen, sodium hyaluronate, licorice root extract, peony flower root extract, aloe vera extract are combined to moisturize, soothe and brighten up the skin. Multiple botanical oils like lemon peel oil, bergamot oil, orange peel oil, anise seed oil, jasmine oil, sandalwood oil, rose flower oil and so on are also added here, which I think are mainly as fragrance ingredients. We also have many moisturizing ingredients like ceramide, panthenol, lecithin, and four types of sodium hyaluronate to soothe and soften the skin! 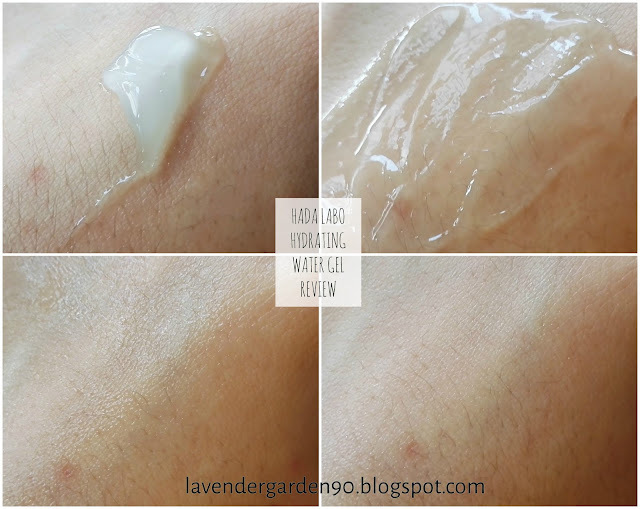 I have been using the Hydrating Water Gel about 3-4 times a week in the past 4 months and here are my thoughts on it. First, you don’t need a lot of product everytime. You just need to scoop out a pearl size and dot it on your forehead, cheeks and nose, and massage it for absorption. Your skin will feel cool, moist and hydrated after the product is fully absorbed. It will do a great job at hydrating your skin, especially those with oily, combination and dehydrated skin. Its lightweight watery gel texture will give an instant surge of hydration and non-greasy comfort to the skin. However, since it contains alcohol, this product might not work great for individuals who are sensitive to alcohol. The formula feels really gentle and mild though in my opinion. I think this is the best cheaper alternative I can find for Belif Aqua Bomb. All other close siblings like Tomaru Soulful Morning Drop and The Face Shop Yehwadam Revitalizing Moisturizing Cream cost over RM100, while Hada Labo is only RM65.90 (always on RM45.90 sales). The ingredients used here is definitely simpler and less fancy with things like niacinamide, sodium hyaluronate, licorice root extract, aloe vera and various botanical oil extracts... but it is OK as long as the product hydrates and soothes my skin in a non-greasy and comfortable way. In short, I do think that this is a great gel cream with hydrating, cooling and soothing properties for normal to oily skin types! Not to mention that it is super cheap with quality ingredients used! [Disclaimer] Product is purchased with my own money. All copyright of contents and images in this article is strictly mine. Thanks for the review! 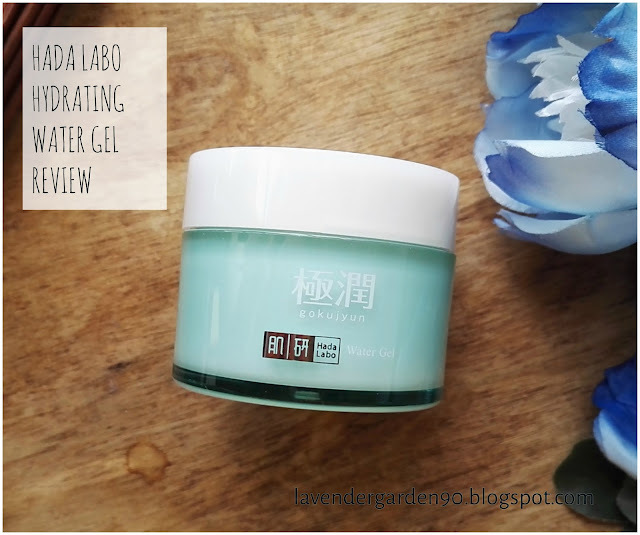 I'm looking for a hada labo moisturiser and I liked the texture of this one that I tested in guardian, but was a bit put off by the word oil. Looks like it's a buy.